Jenny Humphrey is growing up fast - and she's been exposed having dated Asher to be popular, even though she knew he was gay. 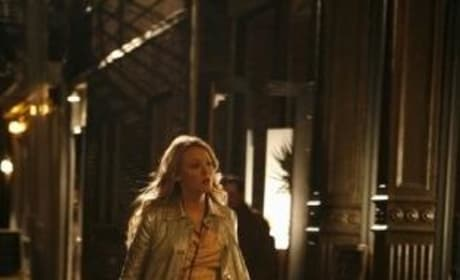 In this photo from "All About My Brother," from the first season of Gossip Girl, Serena van der Woodsen (Blake Lively) walks down a dimly-lit street. What shadowy past is Serena hiding? 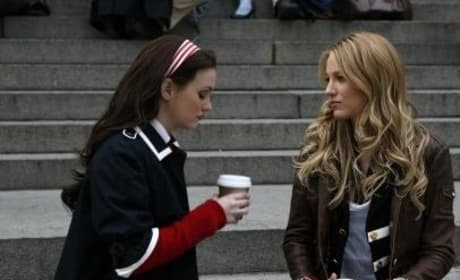 In this photo from "All About My Brother," from the first season of Gossip Girl, Blair and Serena talk on the steps. 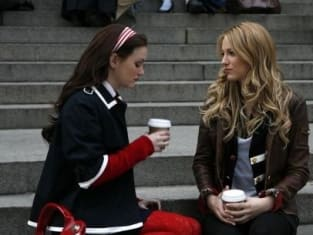 They have had their problems, these two - but when you compare it to Blair's other friends (and we use the term loosely), Serena is a saint! 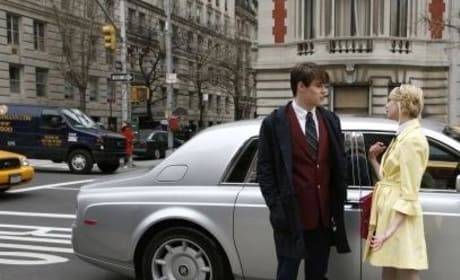 In this photo from "All About My Brother," from the first season of Gossip Girl, Asher Hornsby (Jesse Swenson) and Jenny Humphrey (Taylor Momsen) share a moment. Is little J's new boyfriend all he appears to be? 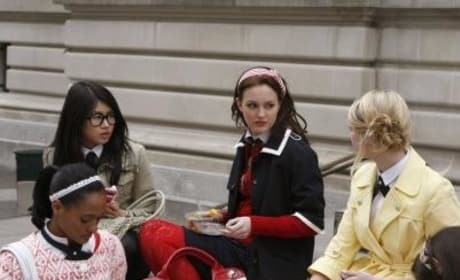 In this photo from "All About My Brother," from the first season of Gossip Girl, Blair and Jenny continue to battle for social supremacy. The affections of these other girls remains a big part of their ongoing struggle. 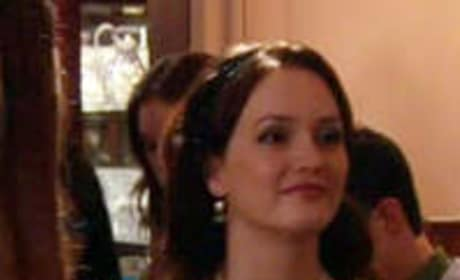 Blair and Jenny will continue their power struggle in "All About My Brother."